Abigail graduated from Liverpool John Moores University in 2015 with an LLB Law degree. Abigail then continued her studies at BPP University and graduated from her Legal Practice course in November 2016. Abigail is experienced in family law and has previously worked at another firm in the Liverpool area for the last 18 months. 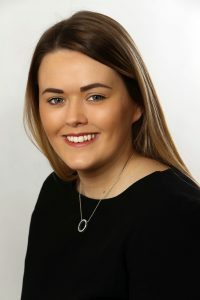 Abigail has a particular interest in children matters, Abigail joined us in May 2017 and was awarded a Training Contract with the firm starting on the 1st of October 2017.